Home / Bollywood Movies / Salman Khan / Tubelight / Will Salman Khan's 'Tubelight' Release In Pakistan? Will Salman Khan's 'Tubelight' Release In Pakistan? People across the world are waiting for Eid so that Salman Khan’s upcoming film 'Tubelight' releases on June 23. But will bhai’s film release in Pakistan? After 'Bhajrangi Bhaijaan' which came with a good message between the relationship of India and Pakistan, it seems there should be no problem in that department. As it is Salman Khan has a huge fan following in Pakistan. Amar Butala who is the CEO of Salman Khan films quoted to the IANS news agency- "Salman has a huge following in Pakistan, which has only grown with the positive messaging of Bajrangi Bhaijaan. We hope to release Tubelight in Pakistan as well, and our efforts continue in that direction, but we respect the law of the land and judiciary if they decide otherwise." Satish Anand, who is one of the major distributors of Indian films in Pakistan, told IANS, "Until yesterday, the distributor in our territory had not been finalised. We already have two major Pakistani films, as well as Pirates of Caribbean: Dead Men Tell No Tales, Transformers: The Last Knight and The Mummy announced. There are limited screens and most of them committed for Eid programming." 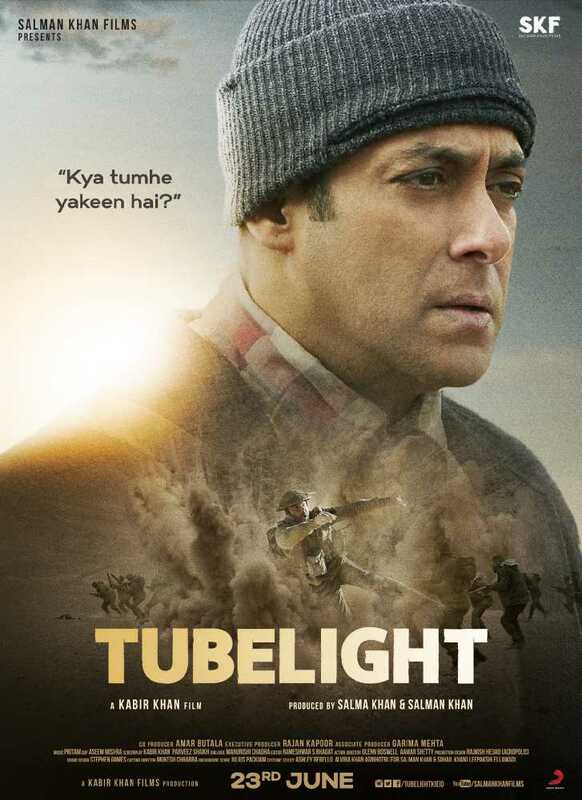 Satish Anand, one of the main distributors of Bollywood films in Pakistan denied any report that Salman Khan's 'Tubelight' has been banned in Pakistan. "It's totally untrue that Tubelight is banned in Pakistan. In fact, it remains a much awaited film there”, he told IANS. 'Tubelight' has been produced by Salman Khan himself and directed by Kabir Khan which is releasing this Eid on June 23. Clearly fans are going to witness a box-office bonanza this festive season as Salman Khan films always open to earth shattering business every Eid.